Patriarch Svyatoslav (Shevchuk) of the Ukrainian Greek Catholic Church urges Ukrainians to take part in the presidential elections, and no matter what not to cast their vote for populists. This was stated by the first hierarch in a recnt interview for Ukrayinska Pravda. “I would say, it is absolutely unacceptable for people to cast votes for populists. Populism is a position that runs absolutely contrary to statesmanship. This is not a philosophy that can create something. Populists can only be destroyed, because they offer something that they cannot accomplish, and sometimes they do not even have a slightest idea how it is done or a clear desire to do what they promise,” he said. The head of the UGCC has noted that populism is a global trend in politics. “But do you know what makes me really sad right now? The popularity of those who do not even have their own slogans and promise nothing. As a rule, a voter who is responsible for casting a vote for a politician or a candidate must be aware of the type of program the latter is proposing. And in our country today the kind of populists who do not even offer anything have gained popularity,” the Primate notes. Patriarch Sviatoslav called for a serious analysis before casting the vote in the elections. “It is obvious that quality elections depend not only on high-profile candidates, but also on quality voters. On the other hand, it's a protest. Voting for an ephemeral person, someone votes against. Against the authorities, against the way of the state building, against its economic hardship,” His Beatitude Sviatoslav says. “I would very much encourage [Ukrainians] to never vote against because voting against you de facto vote against your future. And this is an absolutely unconstructive and irresponsible step. Obviously, we have no angels coming to power. There are 39 candidates, but one has to win. 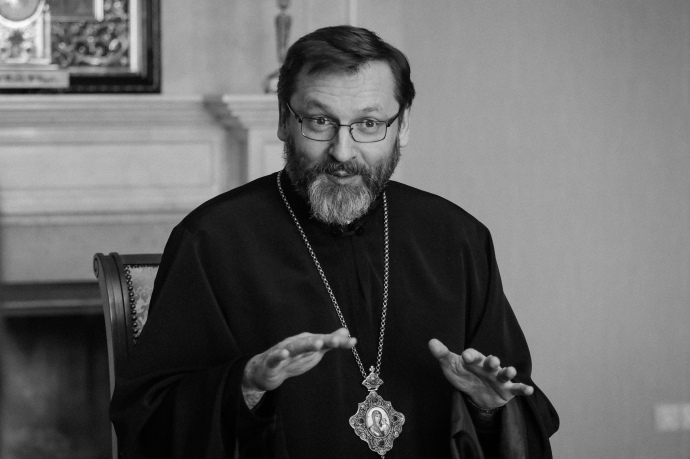 Therefore, it is very important to analyze who you will give your vote for,” invoked Sviatoslav (Shevchuk), the Patriarch of the UGCC.